When you’re in the market for a new midsize SUV, you have a lot of options to consider to decide which one will suit you for your trips around the Long Beach, Torrance, and Fullerton areas. The 2019 INFINITI QX50 and the 2019 Acura RDX are similar vehicles in this respect; they’ve both been brought up in the category of the most stylish and reliable midsize SUVs. To help you decide between these two vehicles, our team at Cerritos INFINITI A Norm Reeves Dealership is going to take a closer look at both. In this vehicle comparison, we’ll be focusing on the important aspects like vehicle power and performance, interior style and comfort, and entertainment and technology. Reading this article will help you see the differences between these two vehicles. You may even figure out which one is right for you. The INFINITI QX50 delivers its power with its 2.0-liter VC Turbo engine. This engine, while being controlled with the 7-speed automatic transmission with Adaptive Shift Control, can get the INFINITI QX50 to reach a whopping 268 horsepower with 280 lb-ft of torque. The 2019 Acura RDX also features a 2.0-liter turbo engine that offers a slightly similar output. For control, this vehicle is outfitted with a 6-speed automatic transmission. In terms of fuel efficiency, the INFINITI QX50 gets an EPA-estimated 24/31 city/highway MPG*. The RDX, on the other hand, only gets 22/28 city/highway MPG. The INFINITI QX50 takes the lead in this category because of the additional gear ratios as well as the higher fuel economy. Both the 2019 INFINITI QX50 and the Acura RDX are capable of carrying five passengers. Regarding their respective interiors, the INFINITI QX50 features leatherette seating appointments. The Acura RDX, on the other hand, features leatherette-trimmed seating. Not only does the INFINITI QX50 feature better seating appointments, but the QX50 offers more cargo room with 31.4 cubic feet behind the second row, while the RDX only features 29.5 cubic feet of cargo space. The INFINITI QX50 and the Acura RDX allow you to stay in contact at all times through their respective Bluetooth® systems. These features allow you to make hands-free phone calls from the road. For your entertainment, each vehicle offers a radio, an MP3-capable CD player and SiriusXM® Satellite Radio. Each vehicle offers a 3-month trial for this subscription service. To access your media, each vehicle offers a display screen. The INFINITI QX50 features the INFINITI InTouch™ dual display with two screens that are seven inches and eight inches. The Acura RDX, on the other hand, only features one display screen in its cabin. In this article, you learned all about these midsize SUVs and their differences. You learned that the INFINITI QX50 can deliver a much higher fuel economy than the Acura RDX. When we looked in the interior, we saw that the INFINITI QX50 offers more cargo room and comfort. 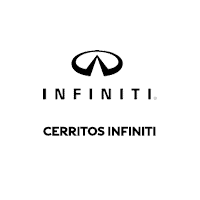 Learn more about the 2019 INFINITI QX50 by contacting a member of our team at Cerritos INFINITI A Norm Reeves Dealership. We’re more than happy to help drivers from the Long Beach, Torrance, and Fullerton areas find their next car. *2019 EPA Fuel Economy Estimates. Actual mileage may vary with driving conditions—use for comparison only.